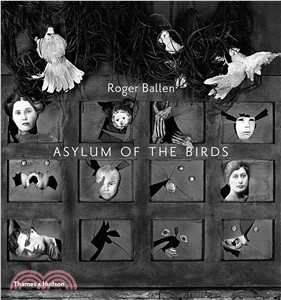 In a world in which many photographers seek to avoid definition, Roger Ballen’s photographs define themselves in their defiance of classification and genre: his world stands out as one of a kind. The black-and-white images featured in Asylum of the Birds were created exclusively within the confines of a house in a Johannesburg suburb, the location of which remains a guarded secret. The inhabitants of the house, both human and animal – including, most notably, the ever-present birds – are the cast of Ballen’s world, performers amidst the theatrical interiors that they create and he orchestrates. The resulting images exist in a space between painting, drawing, installation and photography. They are timeless, psychologically powerful and masterfully composed.